Three generations of Dan Cohen's family were "on the road" in the diamond business. His grandfather began travelling New York and Pennsylvania right after World War I. He started in the business by sweeping the floors in a Brooklyn watch factory. Soon he was "borrowing" loose diamonds from immigrant cutters from lower Manhattan, getting on a bus for upstate New York, and selling the stones to small stores from Albany to Buffalo. In several years he and his partner began to manufacture a small "line" of all sorts of jewelry. Cohen's father went "on the road" after serving in World War II. When he was very small Dan Cohen didn't know what his father did for a living. When he started elementary school his parents told him only that his father was an "executive salesman." 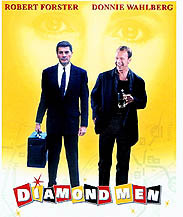 The reason for all this secrecy had to do with the risky business of carrying a "live" line of diamonds on the road. Both his father and grandfather reasoned that the less said about the business the better. And so until they reached adolescence, neither Dan nor his brother fully understood what their father did when he went away on business trips. All sorts of salesmen carry jewelry, but those who carry "live lines" of precious stones are referred to as "diamond men." 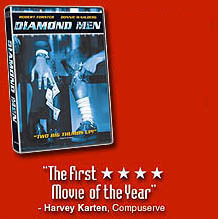 While a "diamond man" has to sell to make a living, his single greatest concern is security. A "line" of fine jewelry can be worth more than a million dollars, and the job of safely transporting it never ends. A diamond man (or woman) arrives unannounced, stays in out of the way places and does his best to remain anonymous to all but his customers.